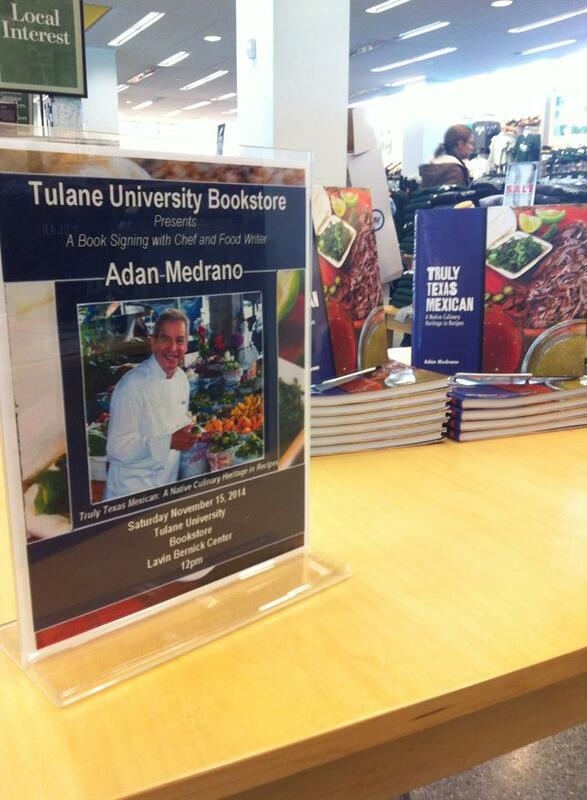 Chef and author, Adán Medrano, has been named a finalist in the INDIEFAB Book of the Year Awards for his new book, “Truly Texas Mexican: A Native Culinary Heritage In Recipes.” His book is a unique combination of history book and cookbook that tells the story of Texas’ first food, the indigenous cuisine of Texas. The news was released by Foreword Reviews Magazine, along with the notice that the final winner will be announced during a program at the American Library Association Annual Conference in San Francisco on Friday, June 26. “Recipes and personal anecdotes illuminate the role that cuisine plays in identity and community,” says the Foreword Reviews announcement, about the finalist book, which is both a history book and a cookbook. Published by Texas Tech University Press, the history/cookbook details the cooking techniques and ingredients of the ancestors of today’s Mexican American community. The book is essentially about Texas’ first food. It is also a cookbook, illustrated with beautiful color photographs of mouth-watering dishes that range from sautéed cactus to smoked trout with yerbaniz, a Mesoamerican herb. “It’s absolutely amazing and I am honored by this recognition of my work, says the author, who received the news of the award from the publisher.” Medrano wrote the book and kitchen-tested the 100 recipes over a period of three years. The book is available at most book stores and online. Medrano says that he plans to attend the award ceremony in San Francisco when the winners are announced. Foreword Reviews will celebrate the winners during a program at the American Library Association Annual Conference in San Francisco on Friday, June 26 at 6 p.m. at the POPTOP stage in the main exhibit hall. The author wishes to thank all the supporters and readers who have been an inspiration, and especially the Mexican American, Chicano community to whom this cuisine belongs.